"The wary guest who comes to the feast speaks sparingly. He listens and learns, hears and sees. Such is the seeker of knowledge". It goes on for another few lines, but you get the gist of the message. Die a hero and you will never be overlooked. .
the Franks, Gaels, Angles, Saxons, Frisians, the Romans and even the Phoenicians had already been there, done that, got the mail-shirts. They were not the greatest innovators, being the amongst the last seafarers to put sails on their ships. Where you cannot fault them is in the scope of their adventuring. To the east they ventured from the Eastern Sea (the Baltic) alonmg the riverways, the Vistula, the Volkhov, the Volga... They crossed the Black Sea from the mouth of the Dnieper westward to Miklagard (Constantinople); they crossed eastward as far as the Caspian Sea and Baghdad. Southward, they coursed the North Sea, entered the Middle Sea (Mediterranean) and raided on the Italian mainland near Rome - thinking they had raided Rome. The Balearic islands were colonised and mainland Iberia raided from there, as well as the Barbary Coast of North Africa. Westward crossings from Norway took them to the Faeroe Islands, Iceland, Greenland and North America, into the great unknown - sometimes with kith and kin, uprooting in the wake of stark new taxes imposed by greedy kings. These forays into the wild blue yonder loaned the Vikings their fascination down through the pages of history. 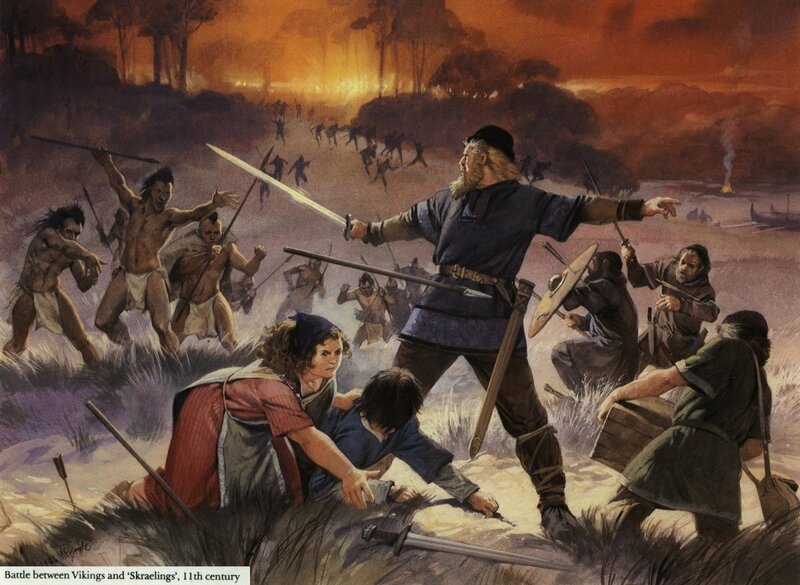 From their exploits, raiding, explorations and trading the West Norse and Danes penetrated the British Isles and Normandy, sometimes raiding, often colonising. Many times - under pressure from their disgruntled neighbours - they buried their loot with the intention of going back... Thus, hoards have been unearthed such as those found at Cuerdale, Silverdale and Harrogate in England and at numerous locations around the British Isles. Silver, jewellery, gold and ornament prised from monastic books that originated everywhere the Vikings went raiding or trading. At Cuerdale artefacts were found from Wessex, Northumbria, East Anglia, Ireland, Italy, Provence, Iberia, Mesopotamia and even from the Hindu Kush. 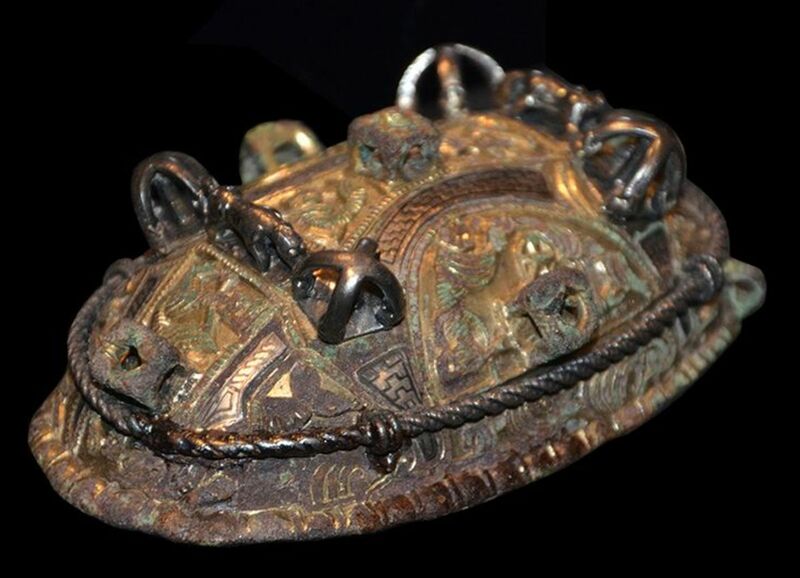 How the hoard came to be left by a riverbank in northwestern Northumbria (as it was then), what kept the men away who had left it and why it had never been found earlier are questions left unanswered. What we do know from the find is that their world knew no bounds, it exceeded the 'known world' of Alexander 'the Great' and his Macedonian followers. 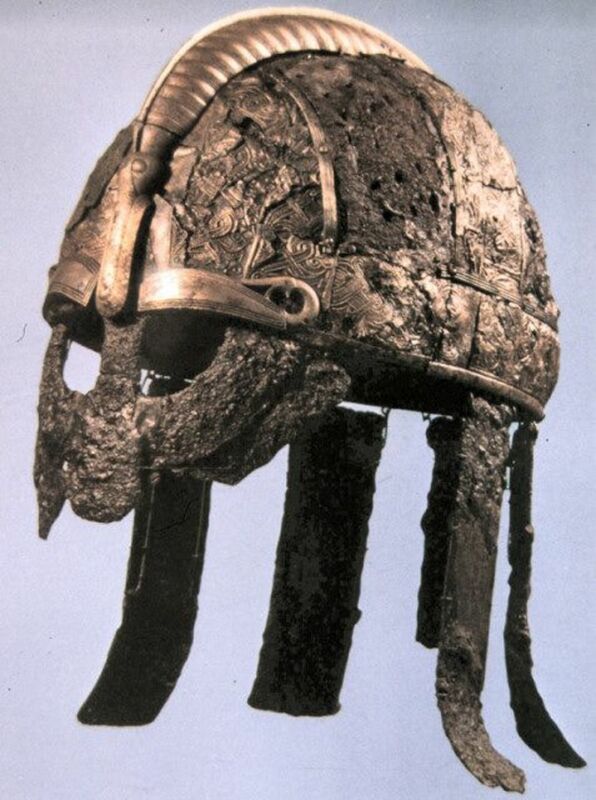 After WWII - by association with the Nazis who 'purloined' the Viking heritage with their ideology - anything associated with the Vikings was 'glossed over' in history lessons. I do not remember being told much about them either at junior or secondary school level. In recent years - especially since the documentary series promoted by Magnus Magnusson on TV - our understanding of Viking matters has taken huge strides. Of course they had been given a 'bad press' by early mediaeval writers, unsurprisingly as the writers of 'history' were from the monastic houses of Britain and Europe. Their surroundings had been looted and burned, their neighbours killed or enslaved. The West Norse (Norwegians) who settled on the British coastal regions and the Danes who colonised huge tracts of land in eastern and north-eastern England could hardly expect the welcome mat to be rolled out for them. Nineteenth century romantics furnished them with horned or winged helmets like gods and dreamily idealised their sea-roving ways. When Norway was ruled by the Swedes in the nineteenth century they began to hark back to a time when they could go anywhere, take anything and demand what they wished. 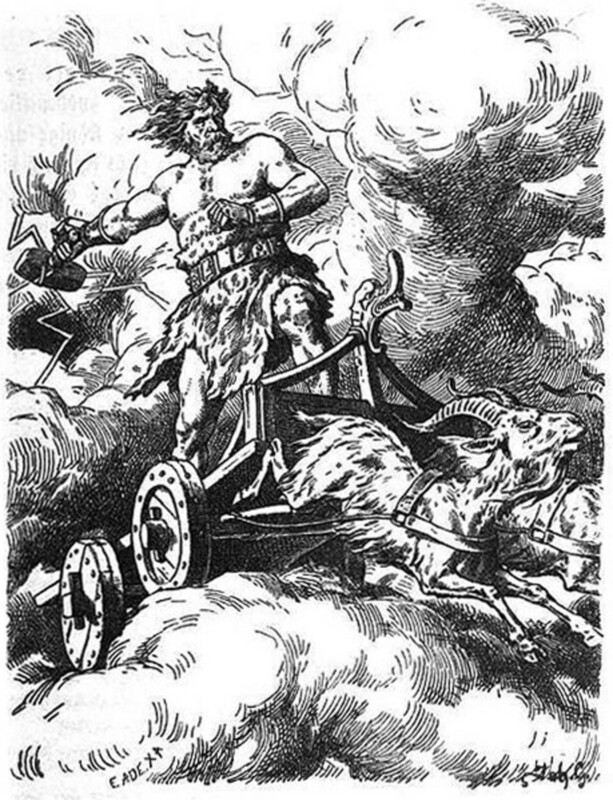 In the Germany of Nietzsche - where the origins of Nazi ideology took root - Wagner composed his operas about a forgotten world of Norse gods in the Ring der Nibelungen, short-circuiting the Germanic heritage. Darwin's theories about the strong winning through were misused and 'anchored' on the flawed theories of Arian supermen. This in turn urged anti-Semitism amongst the greater unwashed, and misreadings of popularist theories brought studies of the Vikings and their belief system. 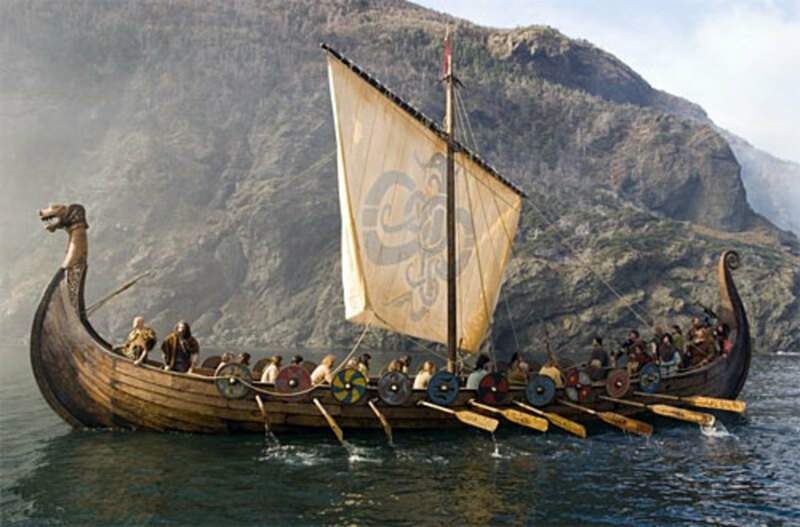 Contrary to Thirties thinking, the Vikings and their descendants - English, Norman, Irish, Scandinavians - were tolerant of other races, as witnessed by their trading links. Only with the onrush of Christianity in northern Europe and Britain did any form of anti-Semitism take root. A more balanced view of the Vikings has developed since the later 20th Century, as archaeologists have uncovered crafts, trade, exploration and evidence of beliefs held by the Norsemen. The York Archaeological Trust has gone to great lengths to promote understanding in matters relating to the Danish and West Norse Vikings who settled York from the 9th/10th Century. Their masterpiece is the creation at Coppergate of the 'Jorvik Centre', which has proved so popular you need to get there early in the day to get in and around the exhibition before it closes in the early evening. Of course the Vikings who came here were violent. Anyone who amounted to anything was violent in trying to hold onto what they saw as 'theirs'. Duke William was one of the most violent heirs of his Viking lineage, and remained so almost to the end of his life when he suddenly felt the urge to unburden his sins to his priest. England was littered with corpses after his 'progress' between 1066-1071, and his sons were no less violent. The Viking Age opened with hit-and-run raids at the end of the 8th Century on the coastal religious houses of Lindisfarne and Iona. They were soft targets, their inhabitants reluctant or unable to stop the raiders. Western Europe enjoyed the highest level of culture and political stability since the 5th Century demise of the Roman Empire. Arab incursions had been nipped in the bud in the Iberian Peninsula, threatening to overwhelm the Christian culture of the region. The Frankish emperor of the Holy Roman Empire, Charles 'the Great' (Charlemagne), campaigned in northern Europe against the pagan Saxons, Wends, Avars and Frisians. He may have had it in mind to take on the Danes, and he might well have over-run Godred's kingdom. But it did not happen. Generally Scandinavia was of little interest to the Franks, even though in their heathen beliefs they posed a threat to the Christian European 'bloc'. In their imagination they had not foreseen the likelihood of lightning strikes against outlying monasteries. 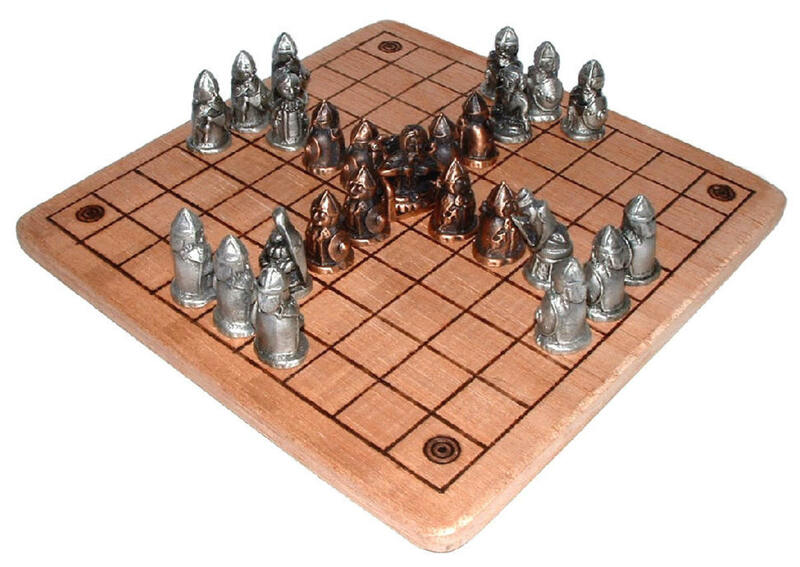 When the Vikings did strike, not only was it unforseen but it shocked, deeply. 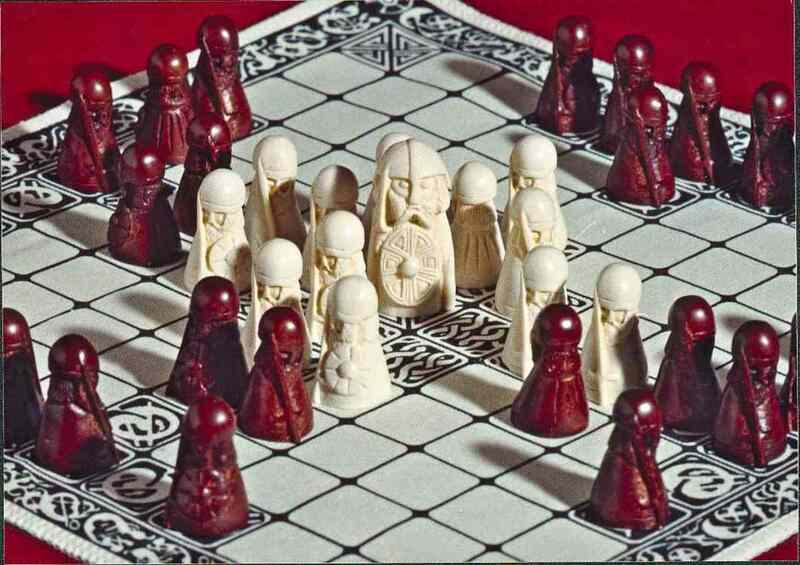 Christian society and the rules by which the inhabitants lived were not shared by the Vikings. They did not see any reason to be bound by Christian 'niceties'. The Viking Age was ushered in in AD793 and stayed with us until well into the 13th Century when King Alexander III of Scotland 'rented' the Isle of Man from the kings of Norway. Strictly speaking that signalled the cessation of serious Viking activity in Britain. 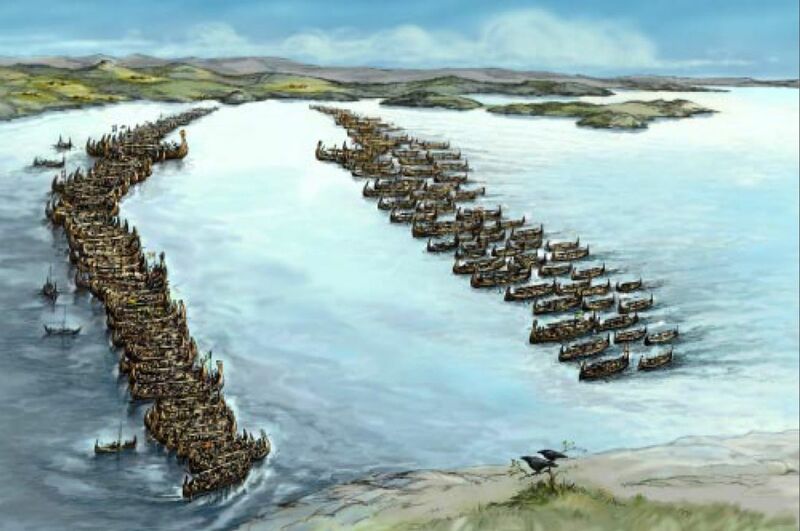 The Age saw Scandinavian involvement in each of the kingdoms, large and small, within the British Isles and Normandy. Their presence saw the unification of kingdoms - England and Scotland - and the establishment of trading city-havens in Ireland, such as Cork, Dublin, Limerick, Waterford and Wexford. In Frankia the Vikings ushered in the break-up of the Carolingian Empire, foisted themselves on the Frankish king Charles 'the Simple' and founded the duchy of Normandy - Charles was not so simple, leading to his subjects enjoying for the first time in centuries a freedom from raiding that had begun after the death of Charles 'the Great'. In the east the Rus, Swedish mercenaries, established the states of Holmgard (Novgorod) and Koenungagard (Kiev) and went on to serve the Byzantine emperors from the time of Basil II 'the Bulgar-slayer' to when the Turks took over in the mid-15th Century. 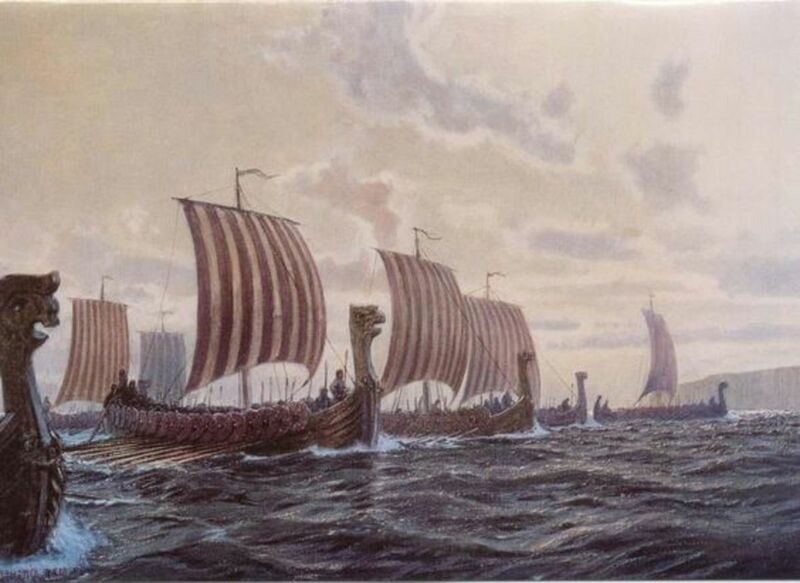 In the west Vikings from Norway and Iceland struck out to and settled further west on Greenland's southern and south-western coastal plains, and explored around Labrador and Baffin Island before establishing a 'colony' on the mainland of America. 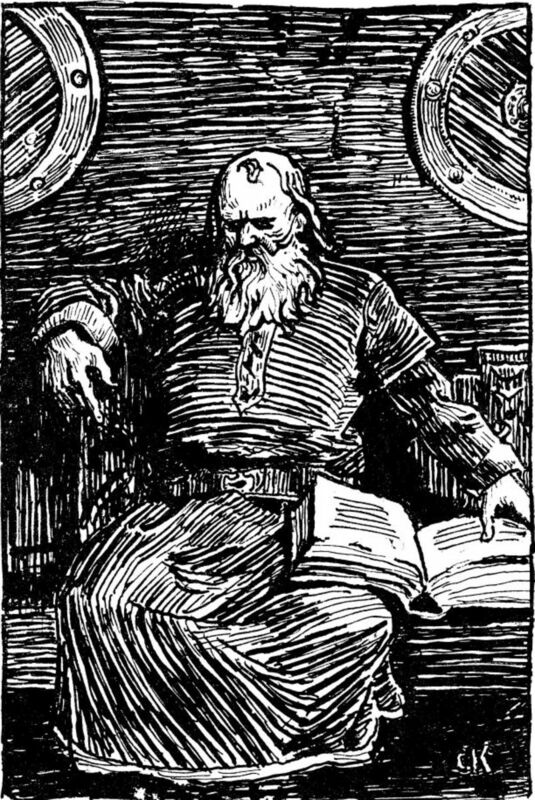 The Vinland Sagas attest to the achievements in the New World of Leif Eiriksson and his father Eirik 'the Red' amongst others. 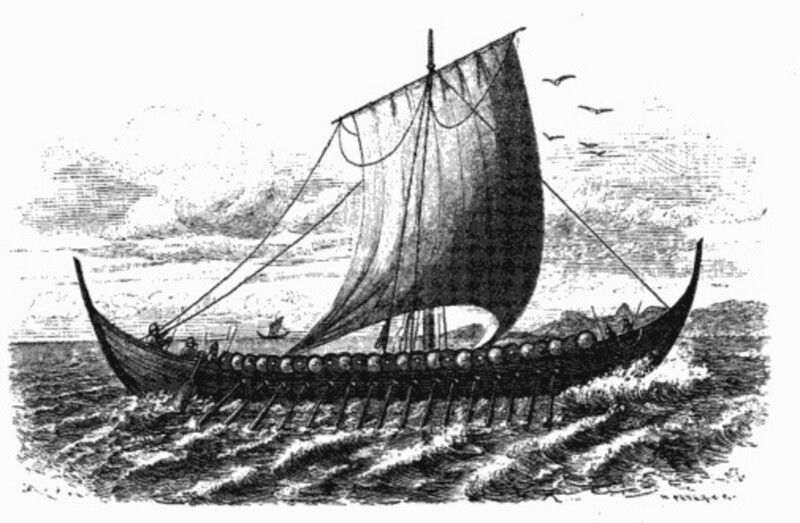 The influence of Christian north-western Europe on the Vikings has been underestimated and under-played. As Scandinavian settlers put down roots around Britain and Normandy they assimilated within generations, thinking of themselves as English, Irish, Norman, Scots (and to a lesser degree Welsh) and worshipping in churches alongside their neighbours. When the Normans went into Ireland, Scotland and Wales in the 12th/13th Centuries they 'disappeared' into the background. What began the Viking Age has been explained by some as intervention on behalf of the Danes by the Norwegians to take the Franks' eyes off Godred's kingdom. The attacks on the western Christian allies of Charles 'the Great' may or may not have averted his northward ambitions . 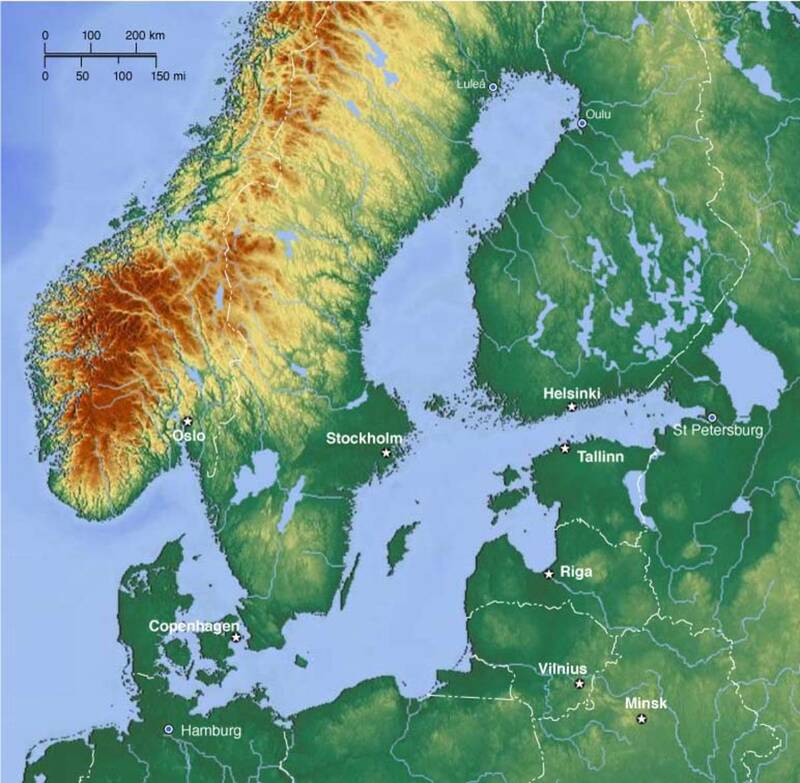 However the outcome is interpreted, the result was a spread of Scandinavian influence in the west that had implications on Europe's future well beyond the Viking Age. Its implications for England were linguistic as well as cultural. Beyond that, the Normans' sights had been raised - to include the other major island communities in their 'empire'. This was probably the embryonic British Empire. if he laughs with angry men? Came a new wave of Vikings. 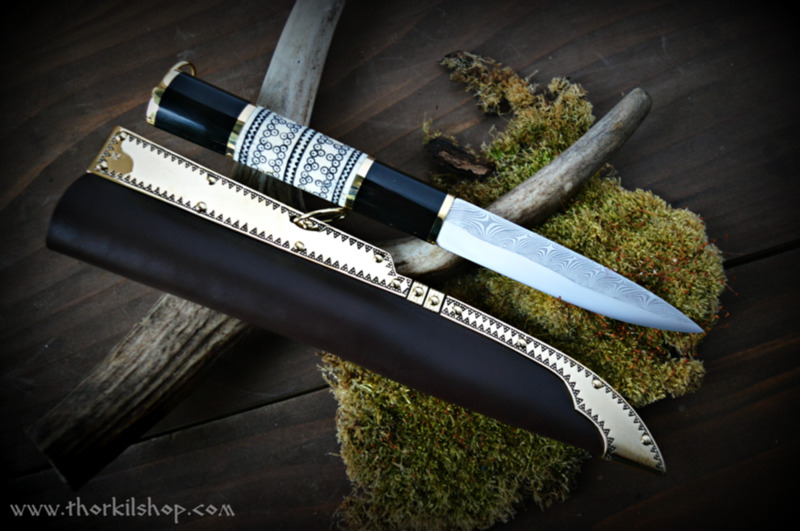 Not only was it a new wave but a new breed of Vikings with Frankish social and religious values and language imprinted on a warrior elite. A heady combination at the best of times. Then they took it on themselves to imprint this combination first on the English, subsequently on the Welsh and Irish. A voiceless under-class was created in England that only found its voice again in the reign of Edward III. Edward I, although strictly speaking no longer Norman, tried to imprint the culture on Scotland and his son fell short of the ideal in losing to Robert de Bruis ('the Bruce') at Bannockburn. De Bruis was descended from the Norman lord of Guisborough and Skelton in the North Riding of Yorkshire, his ally William Wallace of Flemish descent. Their grandfathers, as younger sons had taken King David's invitation as a means to establish themselves - hopefully? - beyond the reach of the Kings of England. Even in its Plantagenet guise the Norman 'octopus' was too far-reaching to withstand in the long run. . The Scots' king David had initially invited the Normans into his kingdom, hoping to avoid the culture clash witnessed south of Berwick. But years later Edward I somehow misinterpreted the invitation as weakness. Excellent article! However, I read a book on vikings several years ago that disputes the location of Vinland from your version. That version developed from actually sailing the saga and determining mistakes in interpretation that were not obvious from maps. In sailing the saga they actually entered Hudsons Bay and turned South to a point where the Ungava river enters the Bay. 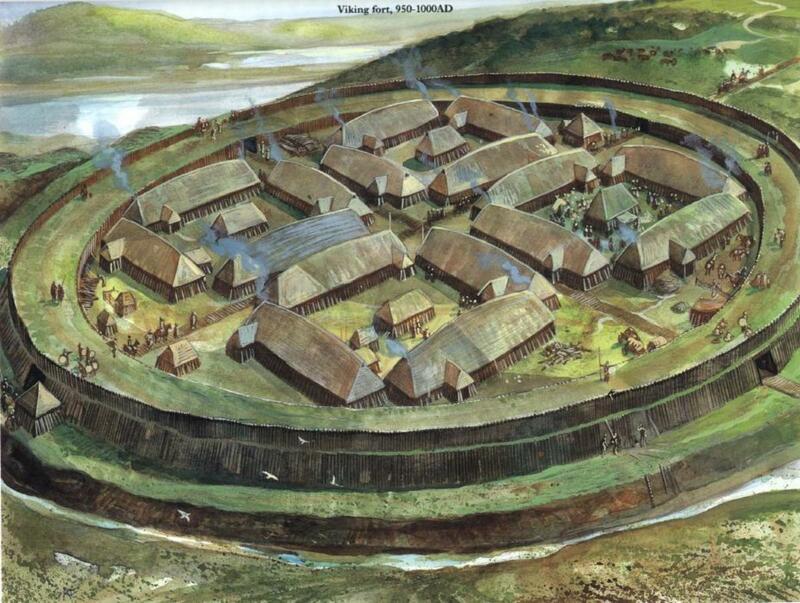 They found viking housing foundations, mooring holes in boulders and incredibly tall, thick grass. According to this version, the mistake in location came from the word "Vin" which in Latin translated to vines or grapes and a temperate climate. However, in ancient Norse, "Vin" meant grass and it was certainly abundant at the mouth of the Ungava River and the temperature ranges were familiar to the Vikings from Scandinavia. I do not, unfortunately, remember the name of the book and it burned when our home caught fire in 2013. Has anyone else come across this version? Hello Raj. Interesting details you've given me here. Few people mention the food they ate, as if it's not important. 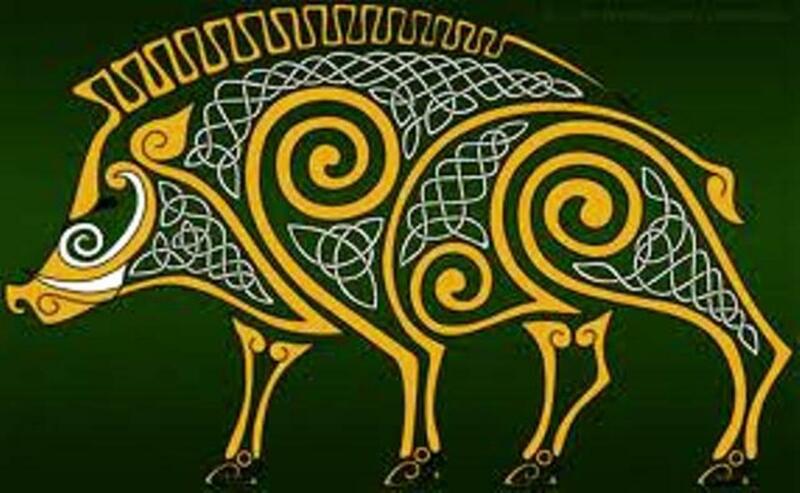 The meat was a necessary part of Norse folk's diet in a cold-cool climate where nourishing food did matter, grain and barley being used in bread-making and brewing ale (another necessary element in Norse life, wine and mead being available to those who could pay over the odds). I have a book, 'FOOD AND DRINK IN ANGLO-SAXON ENGLAND', which points to a rich and varied diet here, which was why the Norsemen and Danes came to settle, (the Danes being slightly better fed than their northern neighbours, coming to increase their holdings and better their lives). There is also a folder available from the Jorvik Viking Centre, 'JORVIK - Viking Life Information Sheets' by several writers. Being a lot further north than Wessex, although with a 'grain belt' in the East Riding similar to Sjaelland in Denmark, Yorkshire was home from home, much like where many of them came from. Feel free to look in on the other 30-odd pages of the VIKING series. 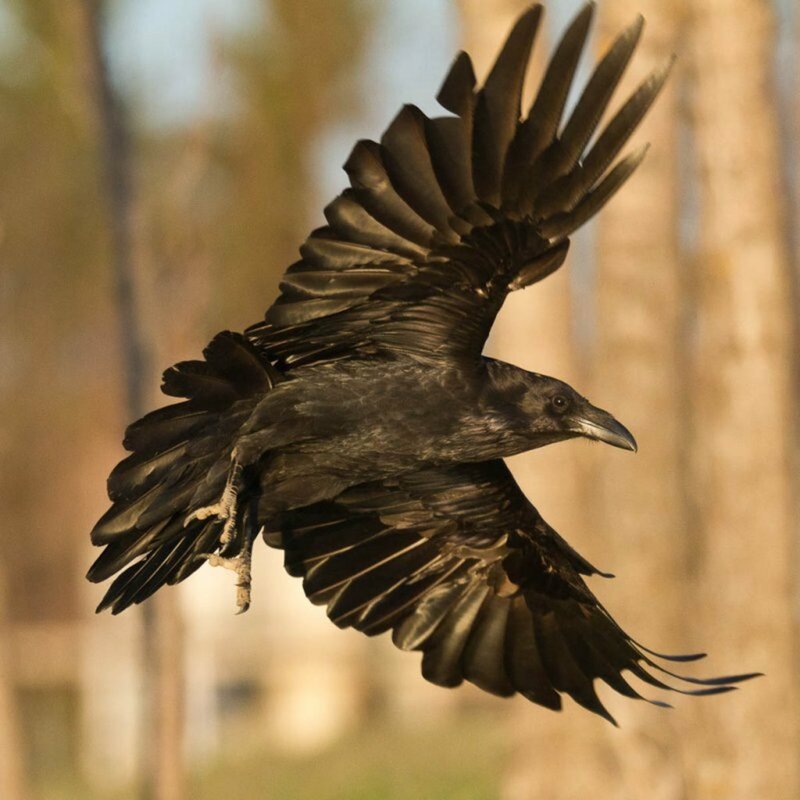 From bones, seeds and other food remains at Viking sites, we know they ate meat from farm amlnais, and from wild amlnais that they hunted, and collected foods such as berries and nuts. They cooked meat in a big stew-pot over the fire, or roasted it on an iron spit. Fish and meat were smoked or dried to preserve it. Viking bread was made from rye or barley flour. They used milk mostly to make cheese and butter, then drank the buttermilk left over.At a feast, guests drank ale and mead (a strong drink made from honey). People drank out of wooden cups or drinking horns (made from cow-horns). Feasts were held to mark funerals and seasonal festivals, such as midwinter. Some feasts lasted over a week! Correction: For 'Bjarni Herjolfsson' read 'Thorfinn Karlsefni' ('Karlsefni' was Old Norse for 'Makings of a Man'). Bjarni was censured for not having landed and explored on the islands of the New World that he came across. Hello Dahoglund. That was the 'Kensington' stone, found by a Swedish-born farmer in Kensington, Minnesota, wasn't it. Shame it was found to have been a forgery by academics. There could have been more 'mileage' in it! The runes were said to have been a blend of 9th-11th Century and 'home-made' symbols. General consensus is Bjarni Herjolfsson and his crew never made it much beyond L'anse aux Meadows near the mouth of the St Lawrence in northern Newfoundland. A battle between them and the 'skraelings' (Norse word for the natives meaning 'wretch' on account of their size and stature) discouraged the Icelanders from hanging around and they withdrew to SW Greenland to the settlement founded by Eirik 'the Red'. Although I am Swedish and grew up in Minnesota which names sports teams for the vikings, there is a lot in your review that I did not know. I did write a hub about the city of Alexandria,Minnesota which is noted for finding the "runestone" claiming a visit from the Vikings. sharing your hub. Hey up Nell, have a care! The French were 'Frankish', the Normans only occupied Normandy from the time of Charles 'the Simple', they were the descendants of the Vikings. 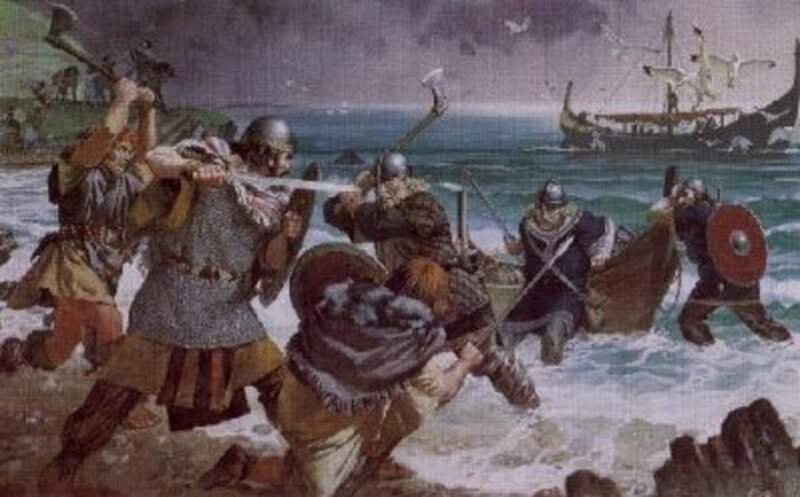 Look in on the VIKING Hub page about their raids on Frankia before the rise of Normandy to get a better picture. The Franks were another Germanic tribe who became Christianised early on, gradually 'Latinising' themselves and peaking under Charles 'the Great' (Charlemagne). One non-Frank, Arnulf of Carinthia was appointed Holy Roman Emperor and ruled Eastern Frankia (Luxembourg, Netherlands, Rhineland) at the time of the Viking raids on Frisia and the Rhineland. By that time the Frankish empire had been split three ways between Charles' sons and weakened. Frankia became France by the later Middle Ages. The Normans as well as the Vikings were known in 'England' as 'Northmen' (Saxon Chronicles), alternating later on with 'Norsemen'. Norse was the language group, West Norse being Norway, Iceland, Faeroes, Orkney, Shetland and Lewis. 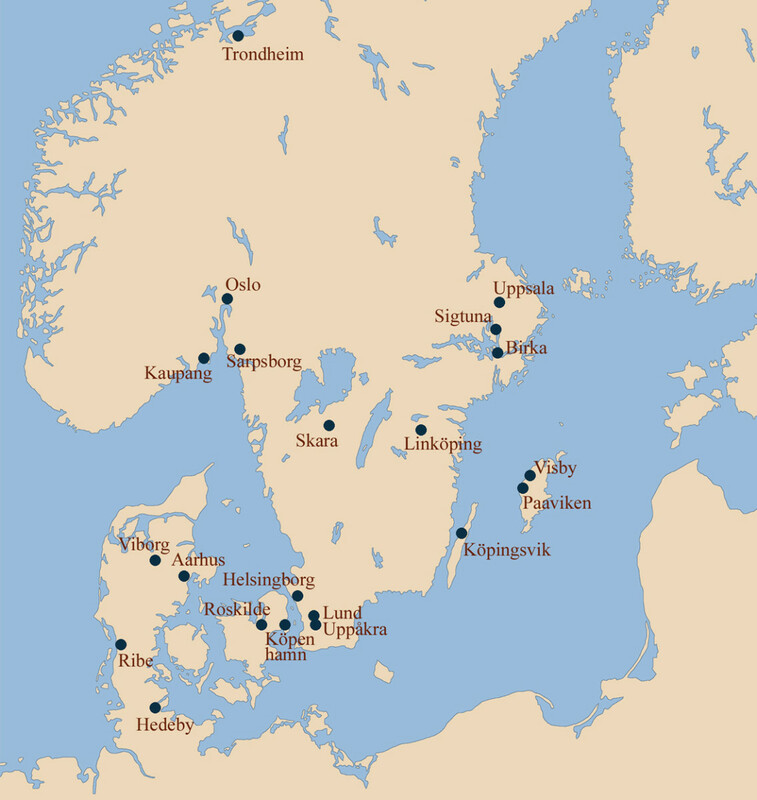 East Norse was Denmark and Sweden. Norway was Christianised by English missionaries, as was Denmark. Denmark and Sweden were 'plagued' by German missionaries from Hamburg and Bremen, that Frankish connection again... That's enough for now or you'll get a massive migraine thanks to me. Yes I think I remember seeing a programme about that, the vikings were a mixture of races, and the french were as you said also vikings originally thats why they are called normans, norse man, complicated isn't it? lol! 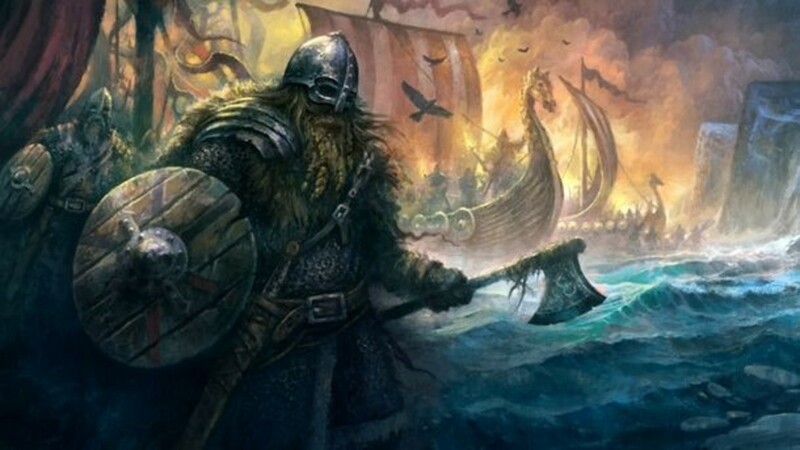 I think it was more of a coincidence that the vikings happened to invade at the same time as the french, or maybe not, but I am sure we would have won if they hadn't had to be split into two parties to fight two different countries at the same time, or should I say armies, why they wanted this cold little country is beyond me! lol! What I really want is a complete listing of your series, that will be where I can find it in a decade or so, so that a certain 2-year-old whose middle name is Canute (named for the king) can read it when he is old enough. Thanks UnnamedHarald for the vote of confidence. Like I said, it was "guilt by association", Wagner. Nietzsche and the Nazis (Goering was fond of reading the sagas). Nietzsche himself wasn't pro-Nazi, but his sister was. She tried to establish a German colony in the Brazilian rainforest in the 1920's, but the jungle's taken over. She gushed over Hitler and 'offered' her brother's literature to back him up. That's what we were up against until Magnus Magnusson came along. Until then it might as well have been Magnus Pike trying to promote them! Very interesting, alancaster. Viking history was not really taught here either. Like cowboys who rode into town on their horses, Vikings just showed up in their longboats, killed everybody, looted, raped and disappeared in their boats into the fog. I find it amazing how much is behind these myths. Voted up and interesting.